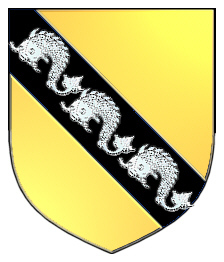 Coat of Arms: Gold shield on a bend sable [black] three dolphins argent [silver]. Spelling variations include: Monnelly, Monelly, Munnelly, Mannelly, Munelly, O Monnelly, Monley, Manley and many more. First found in County Mayo, where it appear in 16th century Tudor Fiants. Some of the first settlers of this name or some of its variants were: Catherine Manely, who settled in South Carolina between 1670 and 1672; Mary Monely, who settled in Maryland around 1678; Edmond Monnelly, who emigrated from Ireland to America between 1735 and 1743. 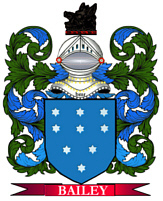 The surname manley is an anglicization of the Irish O Maonghaile. The English name Manley was often used as a further anglicized form. Spelling variations include: Monnelly, Monelly, Munnelly, Mannelly, Munelly, O Monnelly, Monley, Manley and many more. First found in County Mayo, where it appear in 16th century Tudor Fiants. 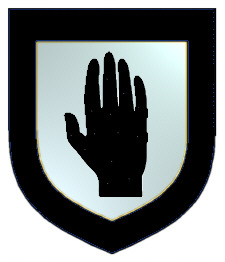 Coat of Arms: Silver a black right hand within a black border. 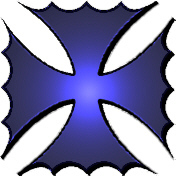 Motto: Manus haec inimica tyrannis. Motto Translated: This hand is hostile to tyrants. Spelling variations include: Manley, Mandley, Mandly, Manly, Mannley and others. First found in Cheshire where they were seated from very early times and were granted lands by Duke William of Normandy, their liege Lord, for their distinguished assistance at the Battle of Hastings in 1066 A.D. Some of the first settlers of this name or some of its variants were: Edward, James, John, Joseph, Michael, Patrick, Richard, Thomas and William Manley all arrived in Philadelphia between 1840 and 1860; Bridget, Ellen, James, John, Richard Manly all arrived in Quebec in 1848.